Product prices and availability are accurate as of 2019-03-30 11:20:06 EDT and are subject to change. Any price and availability information displayed on http://www.amazon.com/ at the time of purchase will apply to the purchase of this product. 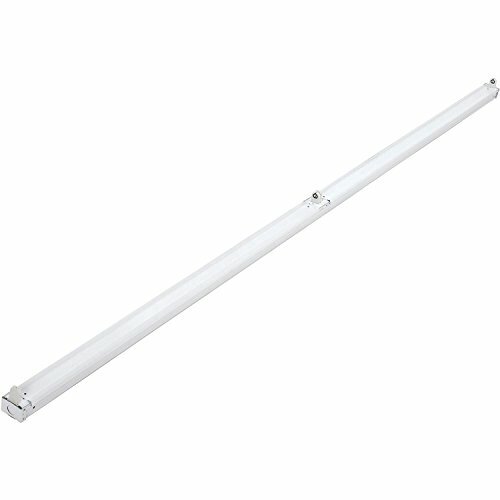 The series fluorescent strip light from Lithonia Lighting is ideal for general purpose or task lighting in residential and commercial applications. Useful applications include retail, manufacturing, warehousing and cove lighting. 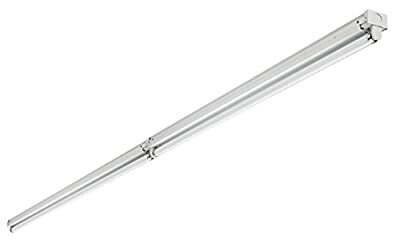 The fixture features a compact, low-profile design, coupled with energy efficient T8 technology, resulting in high brightness and good illumination levels. For use with two 32-Watt T8 fluorescent bulbs (not included).